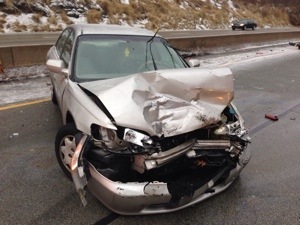 On Sunday morning Stations 227 & 195 were alerted for a vehicle accident with injuries on I-376 east bound. AC911 started receiving additional called that another two cars hit the original vehicle and a pedestrian was struck and another vehicle rollover. 196RQ was added to the call. 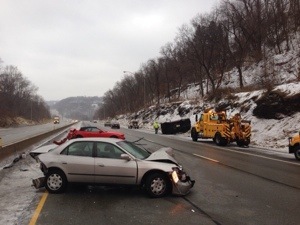 PHEMS & 227 Chief arrived on scene and found one patient partially pinned between the vehicle and the jersey barrier. 227RQ arrived on scene and assisted EMS with patient care and traffic control. 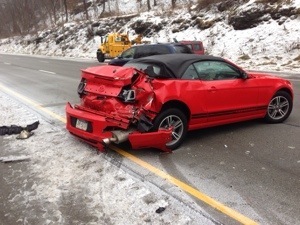 One patient was transported to a local hospital with lower extremities injuries.